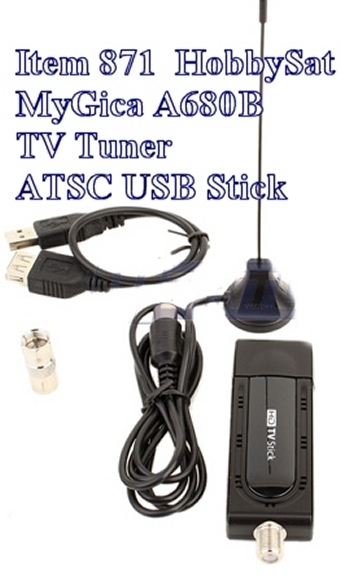 Facebook: Portable TV tuner digital converter for Off-Air-TV! Item 871: $35.95Can or $27.87us Brand New. Digital and Analogue Video Capture. 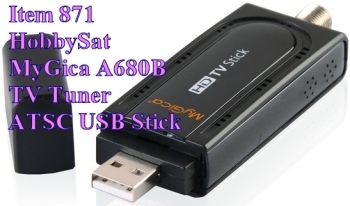 with Antenna or Clear QAM from Digital Cable, Live/Scheduled TV Recording. 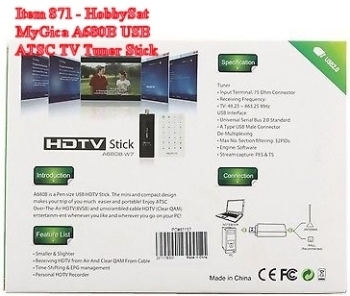 ATV 1200, ATV 400 and ATV 520e Android Smart TV Models. TV box required for this). 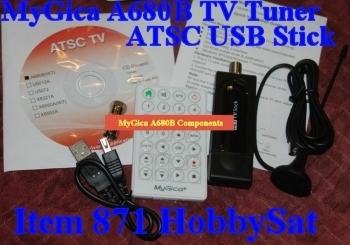 Mygica A680B USB HDTV Tuner also works on your PC computer. 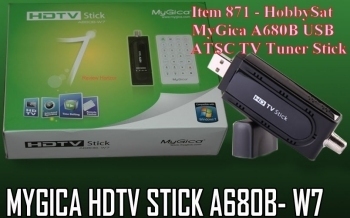 download from the enclosed CD-ROM and you will enjoy the HDTV on PC. software. (look for the last image on top for more details). please use an outdoor antenna or a large antenna. HobbySat has many of these. 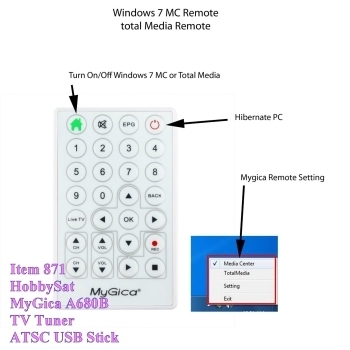 like the Windows Media Center. 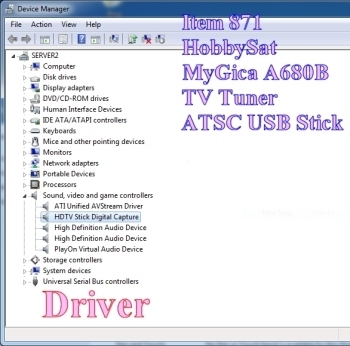 QAM) entertainment whenever you like and wherever you go on your PC. 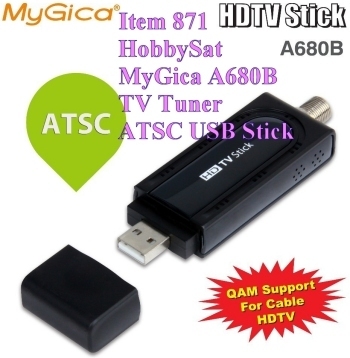 →Supports Android TV Boxes: MyGica ATV 1200, ATV 400, ATV 520e. Spryfield area and it picked up the 3 local networks no problem with great picture quality. Should be fine in your city or town. If not, we'll upgrade you to one that does ok. Note: Antenna position and heights will affect Channel scan result. 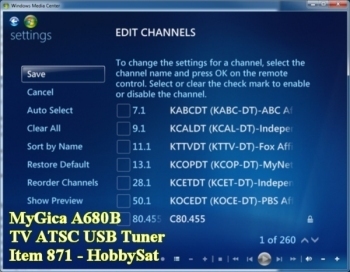 Check out our digital TV Tuner FAQ for details. 1. Q: What antenna is required? UHF/VHF antenna. A larger outdoor antenna is better for signal reception. 2. Q: How to capture more digital channels with strong signals? the indoor antenna near the windows and at a higher position. 3. Q: Will I get 1080i or 720P video through this tuner? A: Yes. All PC and laptop LCD monitors have higher resolution than 720P. 4. Q: How many Over the Air HD channels in my area?